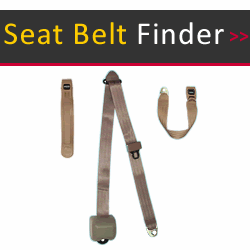 Seat belts what you're looking for? 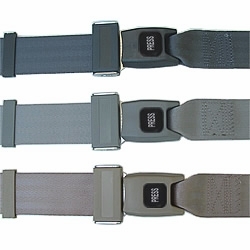 All passenger car replacement seatbelts at Wesco Performance are Federal safety approved! Seat Belt Why Wear One? Each seat belt is easy to install and we have a very knowledgeable support staff that can give you all the help that you need to install the perfect replacement, racing or off-road belt. 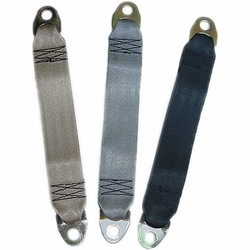 Choose our replacement belts for your car, truck, van or RV either retractable or non-retractable. And all of our seat belts work for both passenger seat and driver seat. 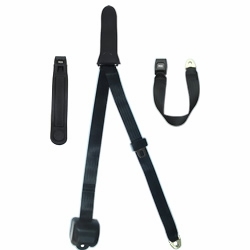 Seatbelts for all of your needs including racing, off-road, bus, tractor forklift and golf cart. We have a huge selection in many styles, colors and sizes. We make it fast and simple to buy online and in stock U.S. destination orders are shipped the same day if ordered business days before noon PST. You will love our discount prices and it's easy to buy online. Just click on one of the links below! 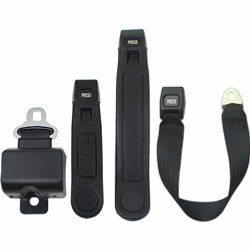 Seat Belts That Will Keep You Safe - SeatBelts That You Can Trust! 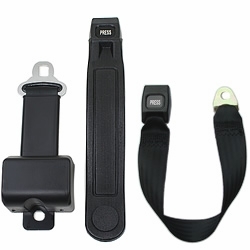 Our seat belts are universal fit and each type is designed for a specific vehicle application not for a unique make or model. 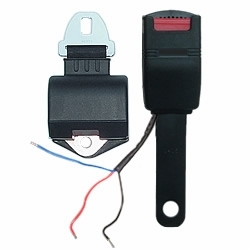 This is a brief history of what years seat belt anchorage points were added to U.S. automobiles: Most U.S. passenger cars, starting with 1962 models, have seat belt anchorages for at least 2 lap belts in the front seat, but not all autos. 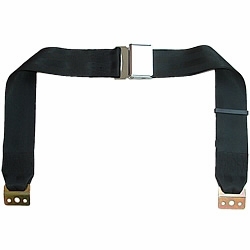 Beginning in 1964, all U.S. cars were manufactured with seat belt anchorages for at least two lap belts in the front seat. 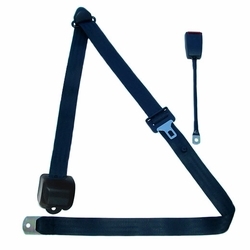 Since January 1968, U.S. passenger car and light truck manufacturers have been required to install lap belt and shoulder belt anchorages at each front "outboard" (driver side and passenger side, not middle) seating position (except convertibles) as well as lap belt anchorages at all other seating positions. Since 1/1/72, these same requirements became effective for trucks. 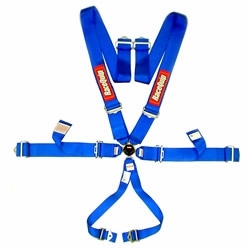 In 1986, GM began to phase in 3 point (lap belts with shoulder harness) for the rear outboard seats of their vehicles and the other major U.S. manufacturers followed suit over the next 3-4 years. The (NHTSA) National Highway Traffic Safety Administration has a legislative mandate under Title 49 of the United States Code, Chapter 301, Motor Vehicle Safety, to issue (FMVSS) Federal Motor Vehicle Safety Standards and Regulations to which manufacturers of motor vehicle and equipment must conform and certify compliance. On March 1st, 1967, FMVSS 209 was the first standard to become effective. 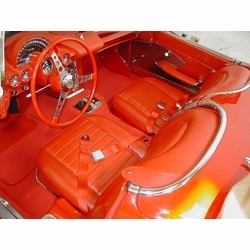 A number of Federal Motor Vehicle Safety Standards became effective for vehicles manufactured on and after January 1, 1968. Since then, other FMVSS have been issued. New amendments and standards to existing standards can be found in the Federal Register. 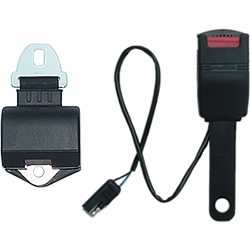 These Federal safety standards are regulations written in terms of minimum safety performance requirements for motor vehicles or motor vehicle equipment. These requirements are clearly described in such a way "that the public is protected against unreasonable risk of crashes occurring as a result of the design, construction, or performance of motor vehicles and is also protected against unreasonable risk of death or injury in the event crashes do occur." 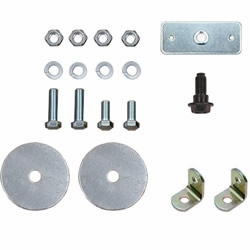 Important: If the necessary anchorage points are NOT present, then proper anchorage points must be safely added before installation.